20pcs/lot 10cm/4g Soft Fishing Lure Silicone Tiddler Bait Fluke Fish Fishing Artificial Bait Saltwater Swimbait. Suitable for different waters. 20 Lures. Weight:approx 4g. 8.9g/9.5cm Bass Multi Jointed Fishing Lure Swimbaits Pike Colorful Panfish Fishing Artificial Bait Culter Fishing Tackle. Smooth and rapid diving action. They create life-like swimming actions in water. Bright colors to attract big fish. Easy to use due to proper combination of wobbling and rolling. It is also easy to the freshman. Smooth and rapid diving action. They create life-like swimming actions in water. Bright colors to attract big fish. Color: As the picture show. Due to the difference between different monitors, the picture may not reflect the actual color of the item. Smooth and rapid diving action. They create life-like swimming actions in water. Easy to use due to proper combination of wobbling and rolling. It is also easy to the freshman. Bright colors to attract big fish. White Fishing Lures 4Pcs/Set 13cm 9g PVC Soft Lure Tiddler Fishing Baits Pesca Fishing Tackle. 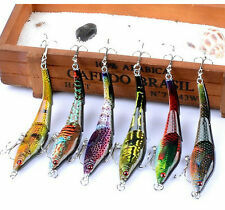 4Pcs soft baits for fishing lovers. Item Weight: 9g / 0.32oz. Wonderful fishing tool for fishing lovers. 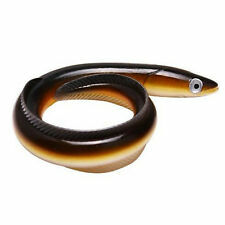 3pcs/lot 8.5cm 5g soft baits Fishing Worm Swimbaits Jig Head Soft Lure iscas artificiais para pesca Fishing Lure. 3 X Fishing Lure bait. Easy to use due to proper combination of wobbling and rolling. Soft Fishing Lure 10.5cm Artificial Soft bait Carp Crankbait with Treble Tackle Hooks lifilike Fishing lures. Features: soft tail design combination of hard fish upper body, swimming first-class temptation in the water swing with the flow of swift! Fishing Wobblers Lifelike Fishing Lure 17g Swim bait Crank bait Hard Bait Isca Artificial Lures Fishing Tackle. 2 Fishing Lures. Smooth and rapid diving action. Life-like swimming actions in water to provoke predator to bite. 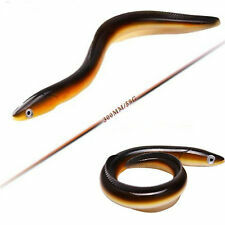 3pcs/lot 8.5cm 5g soft baits Fishing Worm Swimbaits Jig Head Soft Lure iscas artificiais para pesca Fishing Lure. 3 X Fishing Lure. Easy to use due to proper combination of wobbling and rolling. It is also easy to the freshman. 10pcs/lot 10cm/4g Soft Fishing Lure Silicone Tiddler Bait Fluke Fish Fishing Artificial Bait Saltwater Swimbait. 10Pcs Soft Lure Swimbaits Jig Head 4g Fishing Shad Fishing Worm Fly Fish Lifelik. The item(s) pictured is the item(s) you will receive! 5X Fishing Lure bait. Easy to use due to proper combination of wobbling and rolling. It is also easy to the freshman. Color: As the picture show. 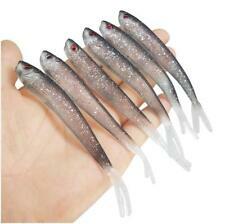 5PCS Minnow Lure Fishing Lures Jointed Fish Swimbait With Hook Fishing Pesca Tac. Jointed Fishing Lures Swim Plastic minnow Fishing Bait 14cm/21.2g Fishing Tackle. 5 X Fishing Lure bait. Bright colors to attract big fish. 6 Fishing Lures. Material: Plastic. Jointed Fishing Lures Swim Plastic minnow Fishing Bait 14cm/21.2g Fishing Tackle. 5 X Fishing Lure bait. Bright colors to attract big fish. Color: As the picture show. Length: 14cm/5.51in. Quantity : 5pc. 5PCS Jointed Fishing Lures Swimbaits 5.5"-14cm/21.2g Plastic Minnow Fishing Bait. Jointed Fishing Lures Swim Plastic minnow Fishing Bait 14cm/21.2g Fishing Tackle. 5 X Fishing Lure bait. Color: As the picture show. 10pcs/lot 10cm/4g Soft Fishing Lure Silicone Tiddler Bait Fluke Fish Fishing Artificial Bait Saltwater Swimbait. 10 Fishing Lures/bag. Weight:approx 4g. You may also like.